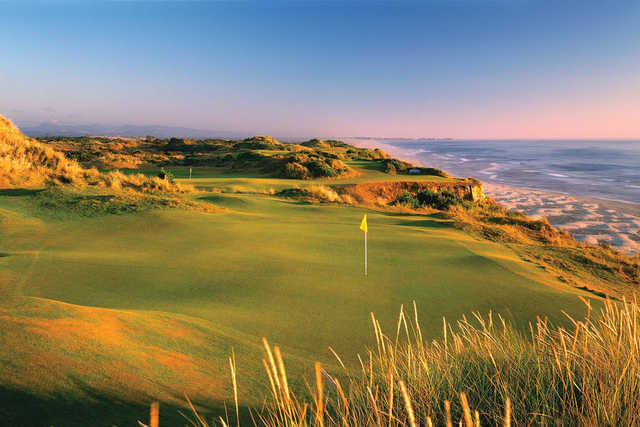 Bandon Dunes Golf Resort will make you feel as though you've traveled not to Oregon, but the Scottish highlands. 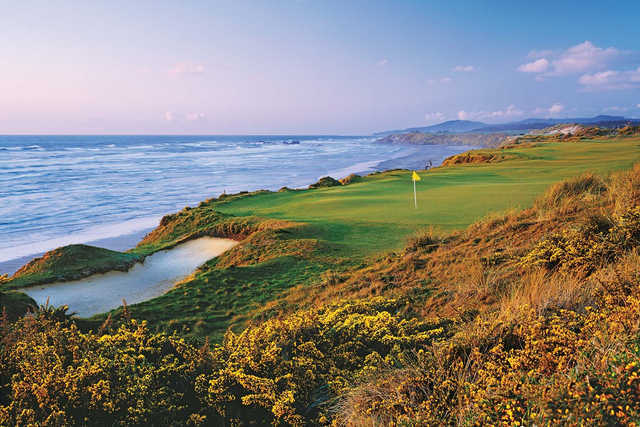 The rugged Oregon Coast perfectly simulates the British Isles landscape of some of the oldest golf courses in the world. Bandon Dunes boasts four different courses. The courses are all perched 100 feet above the Pacific Ocean, stretching along miles of coastline. 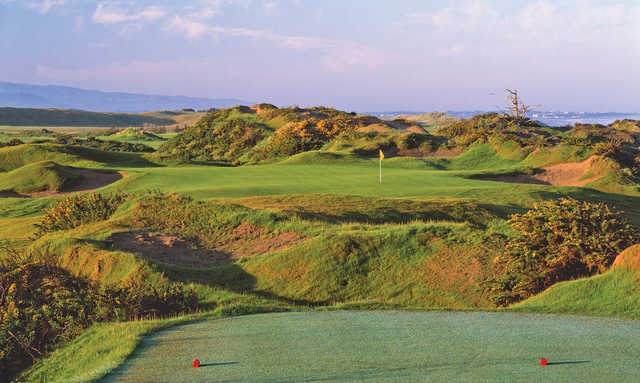 All of the courses are routed through massive sandy dunes that tumble towards the ocean but despite having the same landscape each course has a unique character. 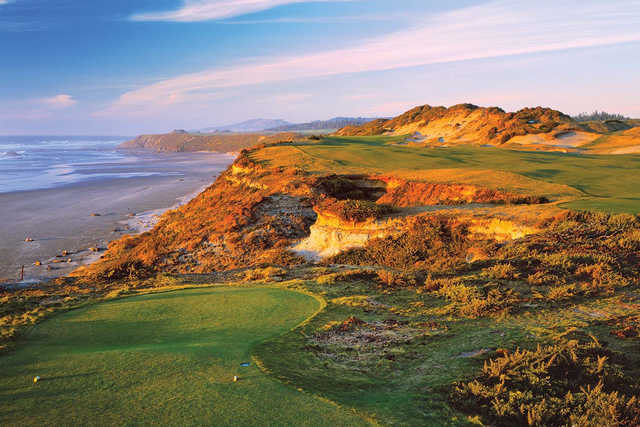 The Pacific Dunes Course has different shot-making requirements than any of the other courses. The rippling fairways seem more as though they were discovered rather than built and they are lined with natural bunkers. The course starts in the pine forests before emerging out onto the sea. It is an especially tough course on windy days. The most scenic and beautiful course I have ever played. Pebble is a close 2nd, but I would rank Pacific Dunes number one. 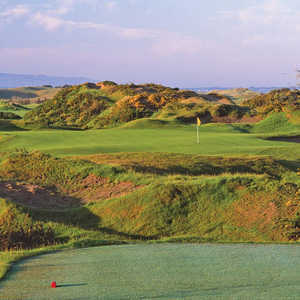 More difficult than Bandon, and maybe a little less fair, but still a must play if you can make it out to Bandon. It is a real treat. I've played it twice, and hope to have the opportunity for many more rounds here. The only drawback for me, is that it is tough to get to from SoCal. This course is a lot different from the other 4 course's at bandon dunes golf resort. It plays as a true 18 hole course and the first nine hole you better be accurate with your approach shot into the greens because they are unforgiving. the second nine plays a little easier but still is very hard. There are a few whole that are a golfers dream when you crest a sand dune and all you see is green and ocean it is just awsume. Do watch out for thr gorse off the fairways, if your ball lands in it just drop another and play agian. Great fun golf course. Price is a bit spendy in the summer but can catch some deals during the winter months. The best time to play I would concider is late january or eary february. Try to catch a 2-3 week window that comes every year at that time when it is clear and no wind. All course at bandon dunes resort play difficult if you play in the afternoon when the wind has come up. So keep it in the short stuff and have fun.